Guys I’m so excited to share with you all that I’m now officially an Independent Ambassador for Tropic Skincare! If you’ve been following my blog for a while then you’ll know that I make a huge effort to live as natural and clean a life as possible when it comes to cleaning products, beauty products and even down to what my family eats. Over the course of the past two years I’ve slowly swapped out non-natural products for chemical-free, vegan animal cruelty-free ones and one of my favourite brands that has made a huge impact in my beauty regime is Tropic Skincare. I was first introduced to them through a brand collaboration and since then have been buying products as and when I needed a new body wash/ shampoo/ cleanser etc. After over a year of using their products and absolutely loving the changes they made to my skin and hair, plus the overall good feeling of using products that are 100% natural, vegan and animal cruelty-free; I thought it was time to put my love for the brand and goal to set up another income stream in motion! So on January 14th I officially became a Tropic Skincare Ambassador which basically means that I can now sell Tropic products as part of my own business! The majority of my focus for now will be online, via my new Instagram page @tropicbyjessicaavey which is where I share daily product reviews and tips as well as weekly lives to share different beauty routines. The first one was this week where I shared my typical nightly skincare routine and I plan to do my morning skincare routine, haircare, tanning, skincare for blemishes, skincare for hydration etc. I also have a dedicated Facebook page Tropic by Jessica Avey and then of course my very own Tropic website where you can make your orders. For anyone local to me (Hampshire-based) I will be doing Pamper parties in the future where you can order directly through me; I’ll then pop your order through and hand deliver it to you when it arrives; however if you’re further afield then not to worry as anyone can order from my webshop and have it delivered to your door! If you have any questions about the products or would like some recommendations then please don’t hesitate to get in touch and of course follow my Instagram and Facebook pages to stay up to date with any product info and deals! 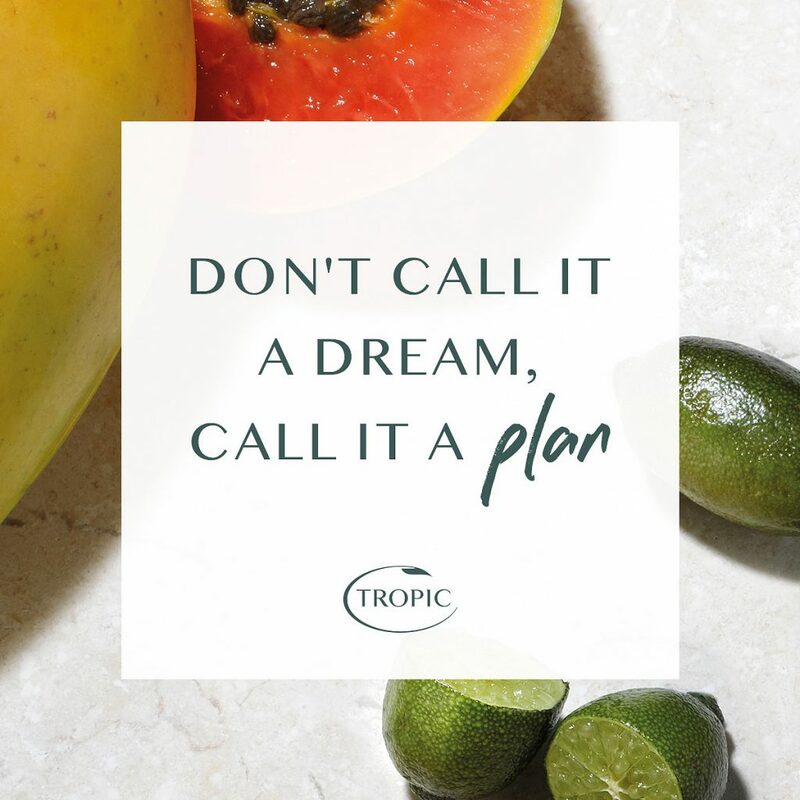 If you’re into natural and clean living then you are absolutely going to love Tropic so please do have a browse through my webshop and get in touch if you like the sound of being an ambassador too! Thank you for reading and a HUGE thank you to those who have already supported my new venture by following along and making purchases!